Expecting friends or family for dinner this weekend? Or thinking of hosting a dinner party tonight and still unsure what to cook? We have a mind-blowing dinner idea to please everyone – A wood fired New York Strip Steak is a nutritious and wonderful recipe you can cook in less than six minutes with the ilFornino Wood Fired Pizza Ovens. The aroma and flavor will woo your guests and friends and you will be the envy of your friends. Once, you experience wood fired cooking, you will be hooked. It is the “wood fired bug” that will make you look for wood fired restaurants when you are not eating at home. 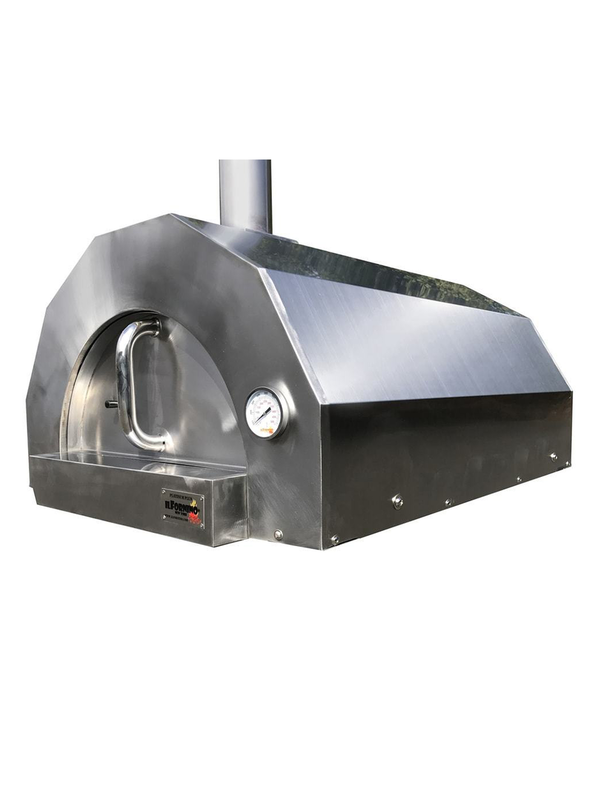 A good quality wood fired oven is a must to reach high temperatures to cook sear steaks and meat. So, fire up your ilFornino Wood Fired Pizza Oven now and prepare this dinner recipe for your family and friends. Chef Simon shows you how to prepare wood fired NY strip steak with roasted vegetables and baked potatoes using an ilFornino pizza oven. Drizzle each potato with some oil and rub them nicely. Season the potatoes with some fine sea salt. Then, wrap them up in an aluminum foil. Wrap up a couple of potatoes in the same manner. Put all these potatoes on the charcoal and flip every 10 minutes. They should be done in 25-30 minutes. Drizzle and rub a little bit of oil on both sides of NY Strip Steaks. Rub some mustard and season the Strip Steaks with salt on both sides. Then season the steaks with some fresh pepper. Coat some oil onto your skillet and place your skillet in the oven to pre-heat for 10-15 minutes. Then drop your steak on your skillet. Put the skillet as close to fire you can and let the steaks cook 3-4 minutes per side. After six minutes pull the skillet out and let your steaks rest for five minutes. Toss the vegetables with some seasoning and olive oil. Coat a surface of the pan with some olive oil and then put all the vegetables in the pan. Put this pan in a wood fired pizza oven to roast the vegetables. Keep an eye on the vegetables so as not to burn. The cooking time for the roasted vegetables varies as per desired crispness and browning. Time to plate up your meal! Serve Wood fired NY strip steak with fire-roasted vegetables and ultimate baked potatoes. Add butter and sour cream to the potatoes or any of your favorite topping you desire. In fact, nothing makes a baked potato better than old-fashioned butter and sour cream. Add fresh chopped chives to garnish it. Wood Fired Ovens are very versatile. Not only you can make steaks and meat but you can roast all kinds of vegetables. ilFornino New York is happy to share these recipes with you and the world of Wood Fired Cooking. Enjoy and let us know what you think and please share your wood fired cooking experience with us. Stay tuned for more recipes! 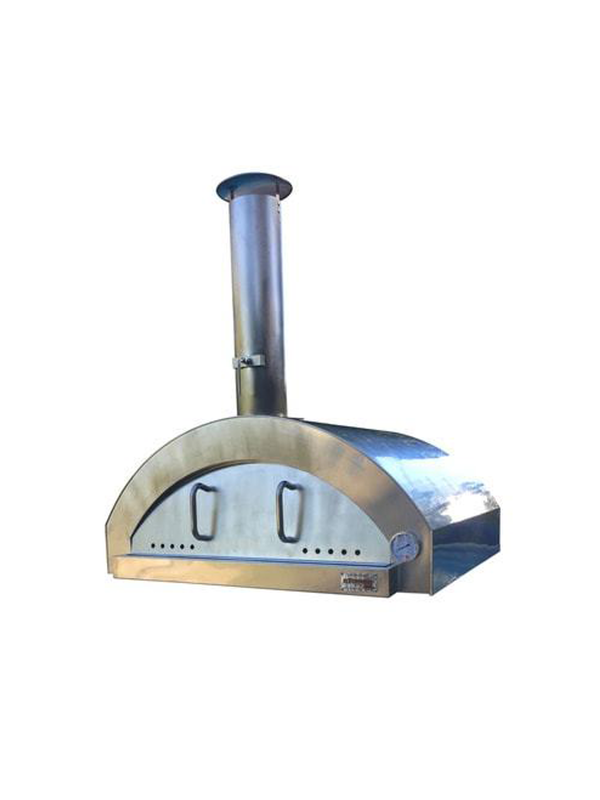 Visit here to explore the collection of wood fired ovens.